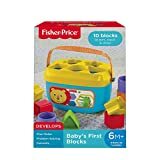 Open a bucket of fun for your little one with Baby's First Blocks. 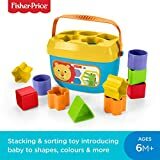 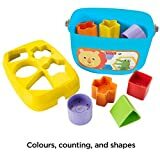 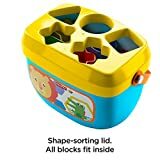 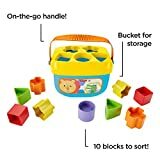 These chunky, colourful blocks help introduce colours and shapes as babies sort, stack and drop the blocks through the slots in the bucket lid. 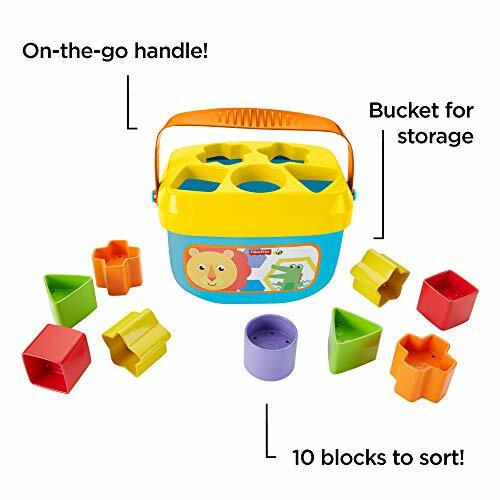 Empty the bucket to start the fun over again and again! 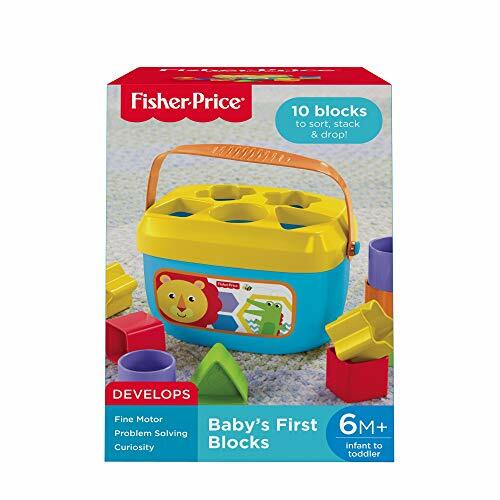 And with an easy-carry handle, you can take Baby's First Blocks wherever you and your tiny tot go! 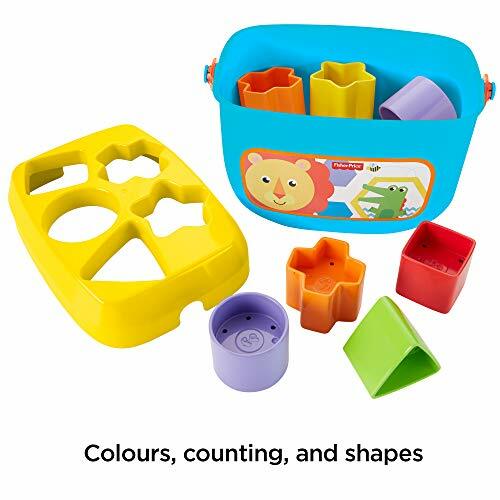 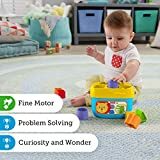 Where development comes into play Fine Motor: All that block-grasping and put & take play helps strengthen your baby's hand-eye coordination and dexterity. 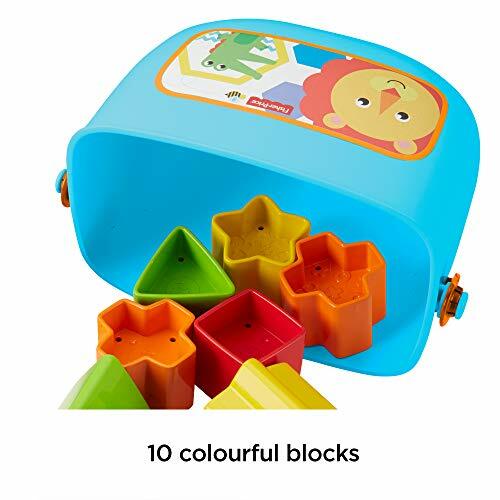 Problem Solving: Babies will exercise their problem solving skills as they figure out how to sort & drop the blocks in the correct spots. 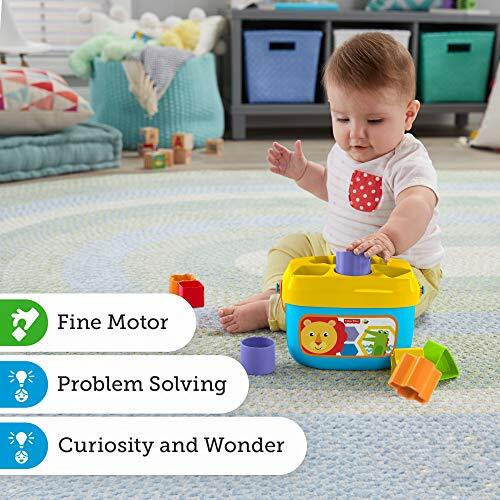 Curiosity: All the bright colours and fun shapes help to engage your baby's natural sense of curiosity during playtime.